At first, the violin proved to be a handicap; few at the time viewed the instrument as having a legitimate place in the modern jazz vocabulary. With a powerful sound that eschewed vibrato, Jean-Luc distinguished himself with be-bop era phrasings and a punchy style influenced more by horn players than by anything previously tried on the violin; nobody had heard anything quite like it before. Ponty played with some of the best European musicians such as Daniel Humair, Eddy Louiss, Niels-Henning-Ørsted-Pedersen among others. His notoriety grew with remarkable leaps and by 1964, at age 22, he released his debut solo album for Philips, Jazz Long Playing. 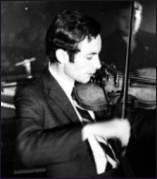 A 1966 live album called Violin Summit united Ponty on stage in Basel, Switzerland with such notable string talents as Svend Asmussen, Stéphane Grappelli and Stuff Smith. In 1967, John Lewis of The Modern Jazz Quartet invited Ponty to perform at the Monterey Jazz Festival. Jean-Luc's first-ever American appearance garnered thunderous applause and led to a U.S. recording contract with the World Pacific label (Electric Connection with the Gerald Wilson Big Band, Jean-Luc Ponty Experience with the George Duke Trio). Through the late-60s and early 70s, Ponty achieved mounting critical praise and popularity across Europe. In turn, the violinist soon found his signature talents in demand by top recording artists the world over. 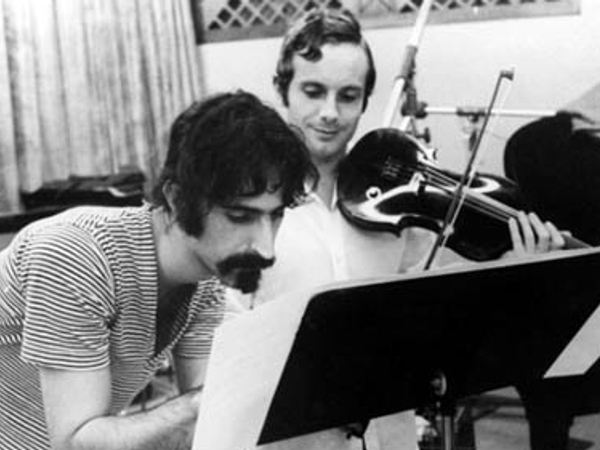 In 1969, Frank Zappa composed the music for Jean-Luc’s solo album King Kong (Blue Note). In 1972, Elton John invited Ponty to contribute to his Honky Chateau #1 hit album. Within a year - at the urging of Zappa who wanted him to join his band the Mothers of Invention - Ponty emigrated with his wife and two young daughters to America and made his home in Los Angeles. He continued to work on a variety of projects - including a pair of John McLaughlin/Mahavishnu Orchestra albums/tours (Apocalypse, Visions of the Emerald Beyond). In the meantime he became a prolific composer, signed on as a solo artist with Atlantic Records in early 1975, released his first album Upon The Wings Of Music that same year and started touring with his own band. For the next decade, Jean-Luc toured the world repeatedly and recorded 12 consecutive albums which all reached the top 5 on the Billboard jazz charts and sold millions of copies. Early Atlantic recordings, such as 1976's Aurora and Imaginary Voyage, firmly established him as a figurehead in America's growing jazz-rock movement. He went on to crack the top 40 in 1977 with the Enigmatic Ocean album and again in 1978 with Cosmic Messenger. In 1984, a revolutionary video featuring time lapse images was produced by Louis Schwarzberg for Individual Choice. Along with Herbie Hancock, Ponty became one of the first jazz musicians to have a music video. From the 80s to this day Ponty has been recording and touring around the world with his own groups and has done collaborations with other great musicians such as guitarists Allan Holdsworth, Al Di Meola, bassist Stanley Clarke, West African musicians, banjo player Bela Fleck, Lalo Schifrin, Chick Corea and Return To Forever IV, violinists Nigel Kennedy, Mark O'Connor, L. Subramaniam from India, classical violist and conductor Yuri Bashmet from Russia, pianist Wolfgang Dauner, guitarist Bireli Lagrene and singer Jon Anderson from Yes, and his daughter pianist-singer-composer Clara Ponty. Jean Luc has also performed his music with symphony orchestras in the U.S.A, Canada, Japan, Western and Eastern Europe, Brazil and Russia.